Contact us to inquire about our Buy Here Pay Here Program! Are your past credit problems coming back to haunt you as you drive an old junker because you can’t get a newer, more reliable vehicle? Maybe you’ve filed for bankruptcy in the past and think it will keep you from getting a loan on a new vehicle. Or maybe you’ve recently divorced and find yourself anxious about trying to get a late-model vehicle financed. 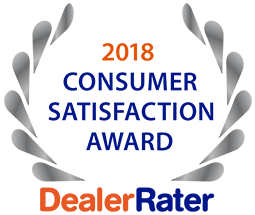 Whether you have no credit, new credit or even bad credit, 5 Star Auto Plaza is a Buy Here Pay Here car dealership in St. Charles, Missouri, that can help you finance a late-model vehicle. Stop driving an old, beaten-up vehicle that breaks down every time you turn around. We believe that no matter how bad your credit is or what your past holds that you deserve a quality used car that you can count on to get you where you need to go. Because of this, we offer Buy Here Pay Here financing with low down payments. That’s right, not only do we make it easy for you to get a quality used car with less-than-stellar credit, we will also help you get into the vehicle of your dreams with a low, affordable down payment! Plus, with the Buy Here Pay Here financing, we’ll finance your vehicle in-house, which means that you can easily make your car payments here at our dealership. We strive to offer good vehicles for good people. We can help you get one of our affordable, quality used cars while helping you rebuild your credit. Whether you’re looking for a car, SUV or truck, we have you covered with a wide range of affordable used cars that will fit within your budget. Stop feeling about your current, less-than-perfect credit situation. Come see us at 5 Star Auto Plaza today.